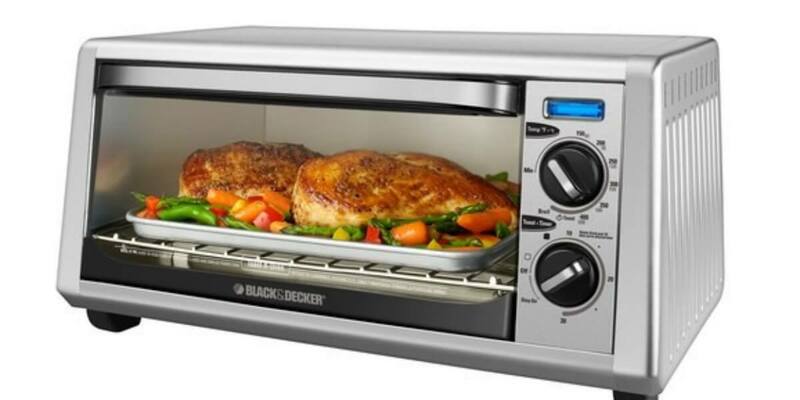 One-touch bake, broil, toast and keep-warm functions s Allow cooking versatility and simple operation. 1200W Offer ample power to cook your food. 4-slice capacity Accommodates multiple items simultaneously. 30-minute timer Helps you keep track of cooking times. Stay-on feature Allows you to continue cooking past the timer. Bake pan Enables you to prepare baked goods.